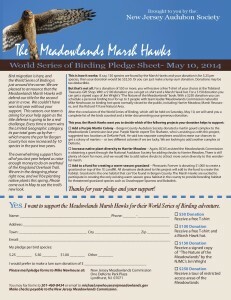 Help the Meadowlands Marsh Hawks! Bird migration is here, and the World Series of Birding is just around the corner. 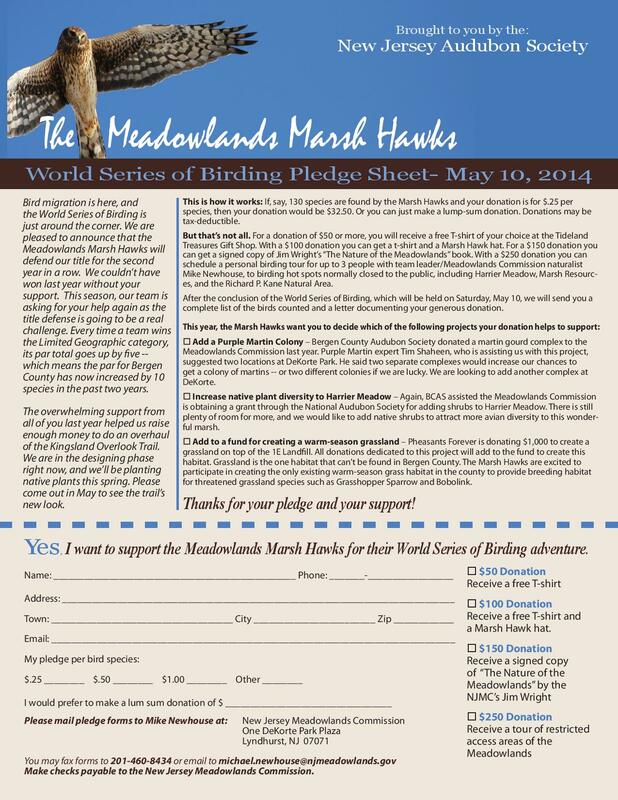 We are pleased to announce that the Meadowlands Marsh Hawks will defend our title for the second year in a row. We couldn’t have won last year without your support. This season, our team is asking for your help again as the title defense is going to be a real challenge. Every time a team wins the Limited Geographic category, its par total goes up by five — which means the par for Bergen County has now increased by 10 species in the past two years. The overwhelming support from all of you last year helped us raise enough money to do an overhaul of the Kingsland Overlook Trail. We are in the designing phase right now, and we’ll be planting native plants this spring. Please come out in May to see the trail’s new look. * Add another Purple Martin Colony at DeKorte. * Add more native plants to Harrier Meadow. * Plant a new native-grass habitat on a nearby closed landfill.